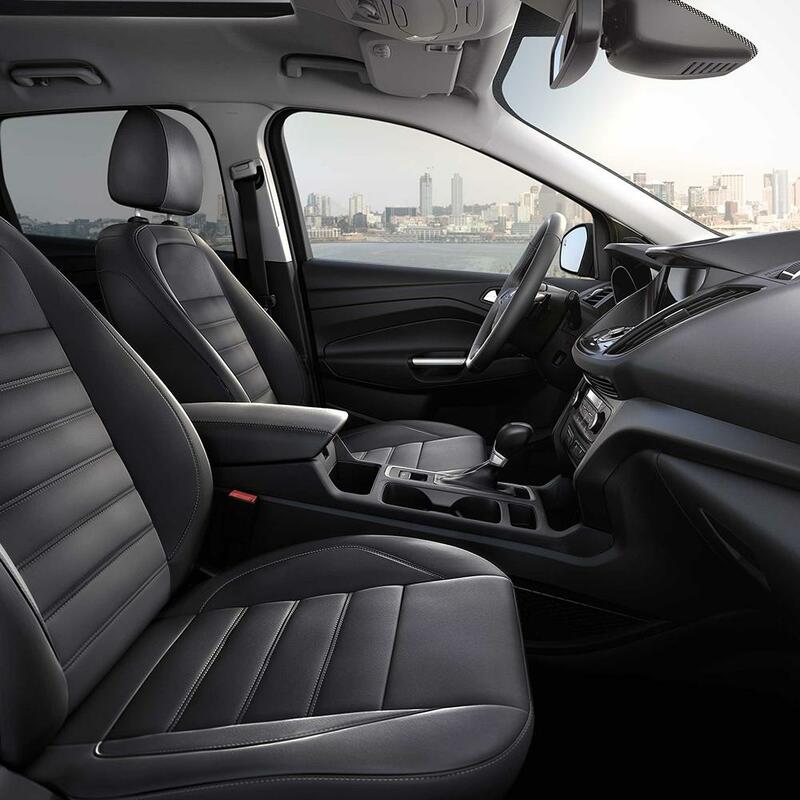 The refinement and luxury of leather seating is a standard feature in the 2019 Ford Escape2, but it's only available as an add-on option in the 2019 Chevrolet Equinox3. 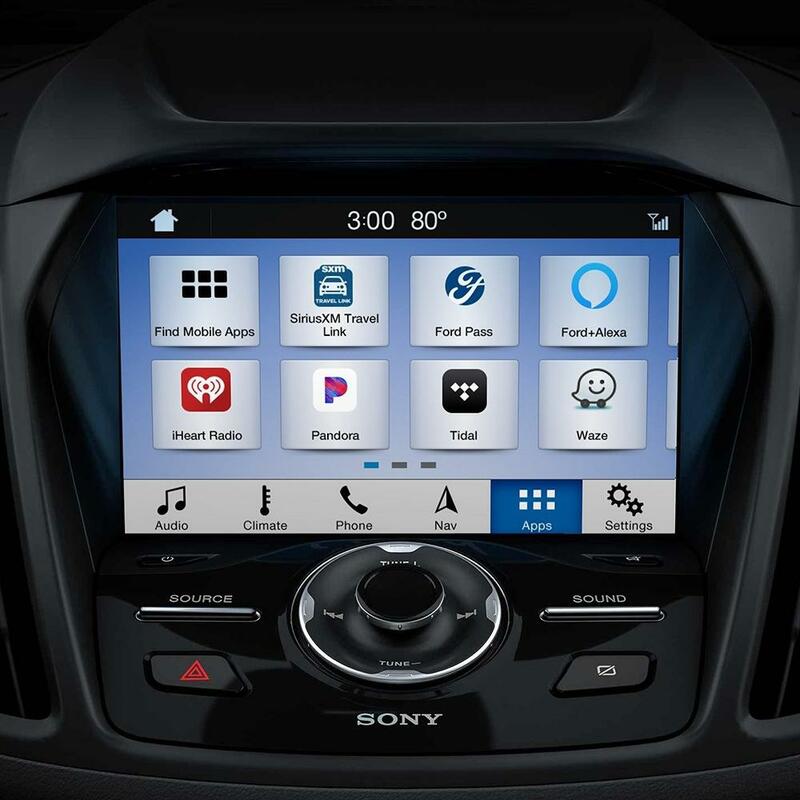 Getting where you're going has never been easier, with turn-by-turn directions and other features of the 2019 Ford Escape's4 standard on-board navigation system. 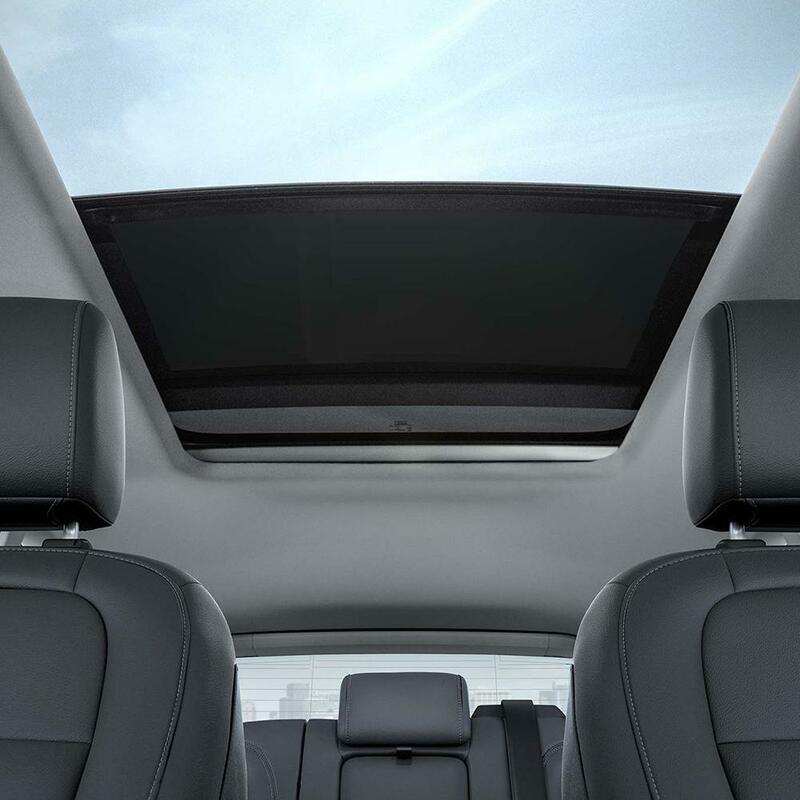 If you want the convenience and peace of mind of an on-board nav system in the 2019 Chevrolet Equinox5, you'll have to pay extra for it. A state-of-the-art premium sound system designed with audiophiles in mind - enjoy concert-quality sound standard on the 2019 Ford Escape4. 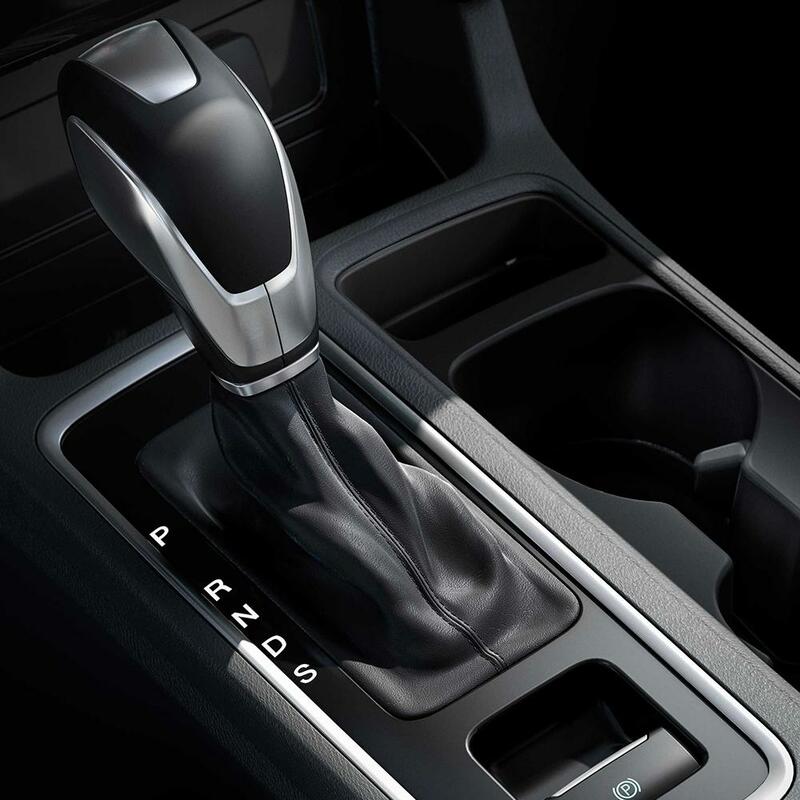 Want it on the 2019 Chevrolet Equinox3? You'll have to pay extra. 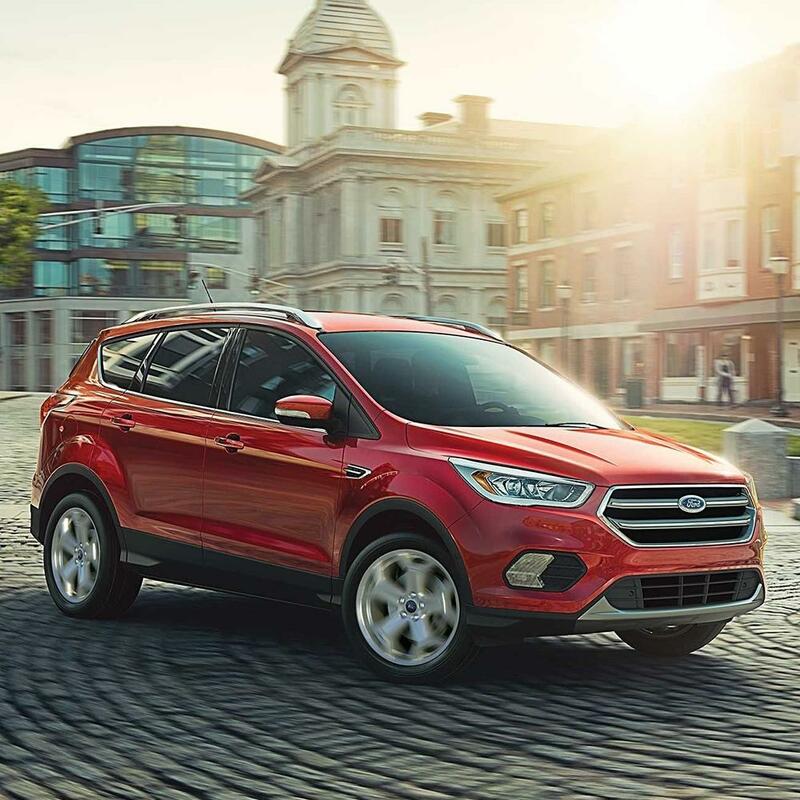 The 2019 Ford Escape's6 increased torque - 2756 lb.-ft. vs. 2607 lb.-ft. - can mean the difference between easy going and a sluggish ride. Tired of hunching over the steering wheel? No worries. 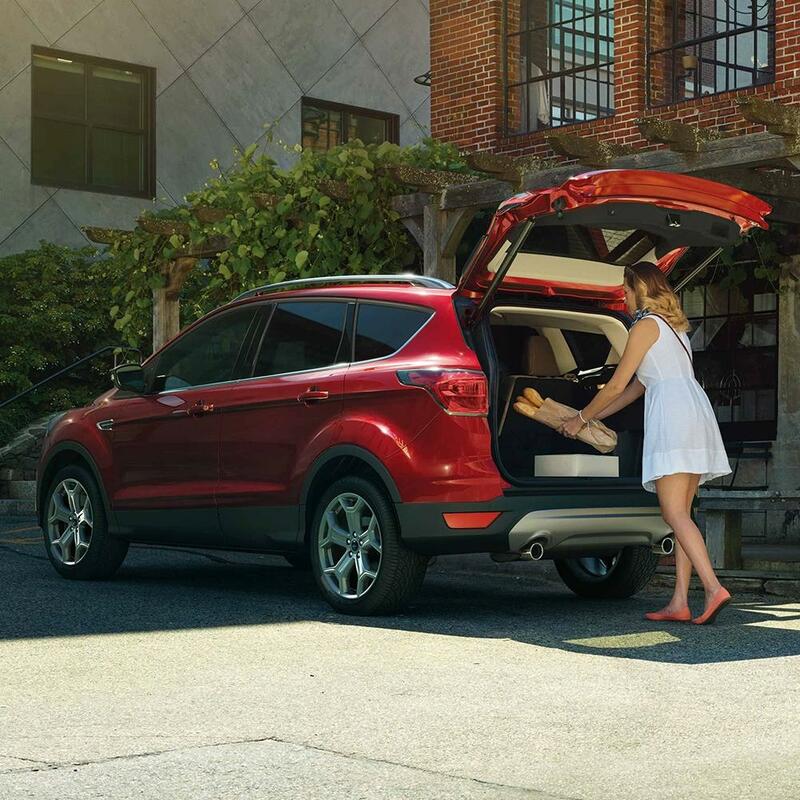 The 2019 Ford Escape8 offers 1 more inches than the 2019 Chevrolet Equinox9 in front head room, making the hunch-back driving pose a thing of the past. 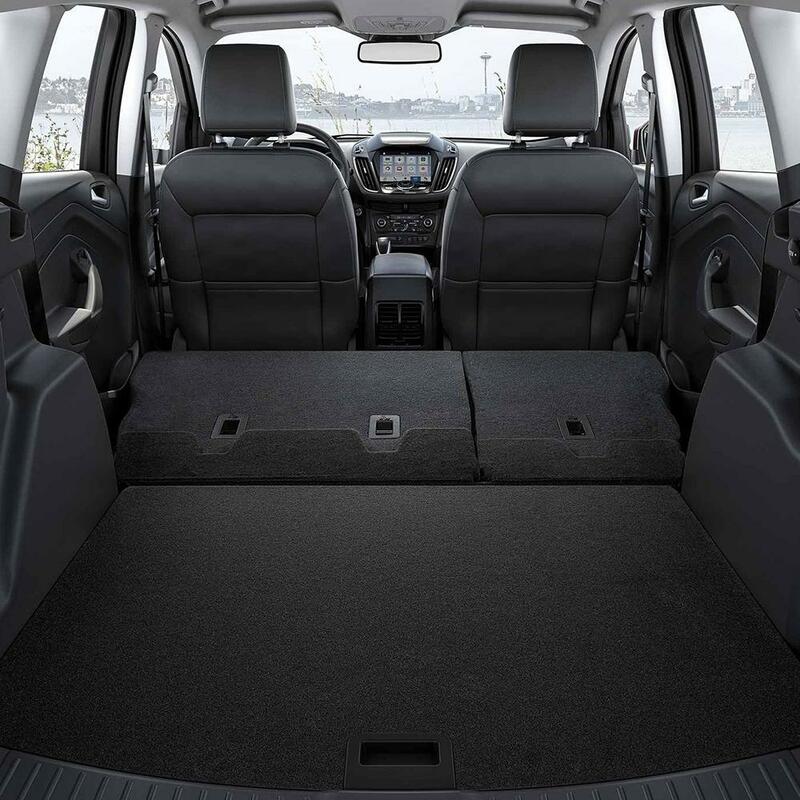 Offering 4 more inches in combined rear head and rear leg room than the 2019 Chevrolet Equinox9, 5, the 2019 Ford Escape8 is roomy enough for even the tallest of your passengers to travel in comfort. Bye-bye cramped "airplane-legs," hello rear passenger comfort. The 2019 Ford Escape8 is so confident in their materials and workmanship, they'll pay for the cost of perforation repairs for 2 years longer than the 2019 Chevrolet Equinox9 - quite a consideration for drivers who live in climates where corrosion is a risk. 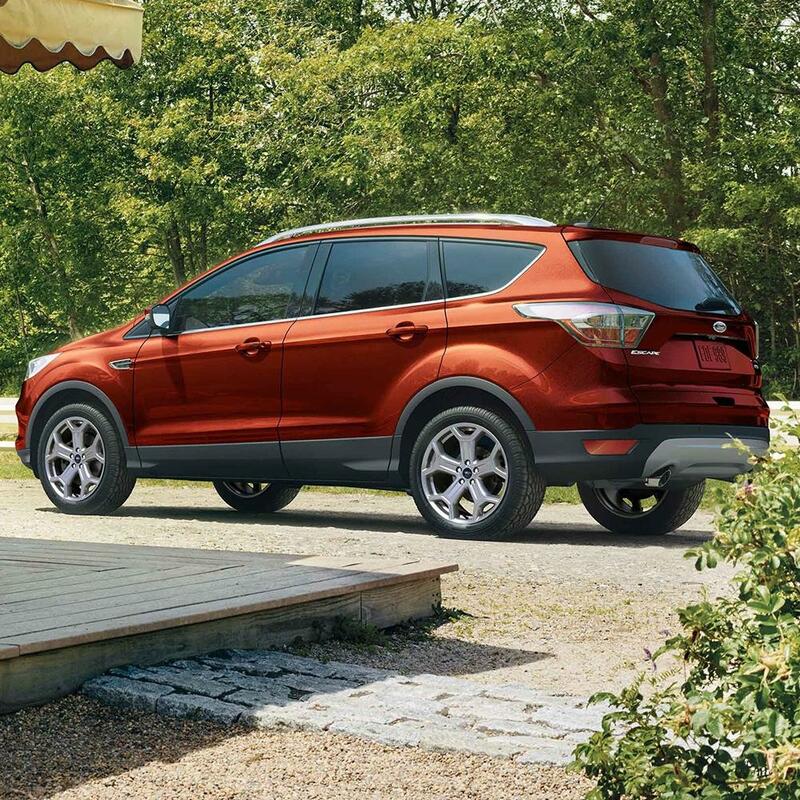 The 2019 Ford Escape's2 increased torque - 2752 lb.-ft. vs. 2603 lb.-ft. - can mean the difference between easy going and a sluggish ride. 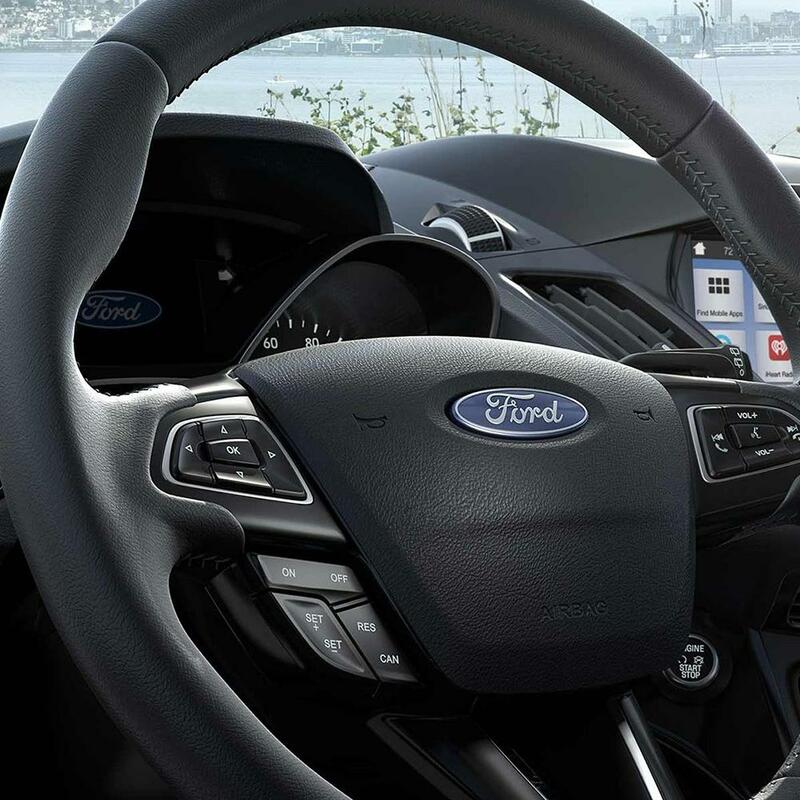 Tired of hunching over the steering wheel? No worries. The 2019 Ford Escape4 offers 1 more inches than the 2019 GMC Terrain5 in front head room, making the hunch-back driving pose a thing of the past. 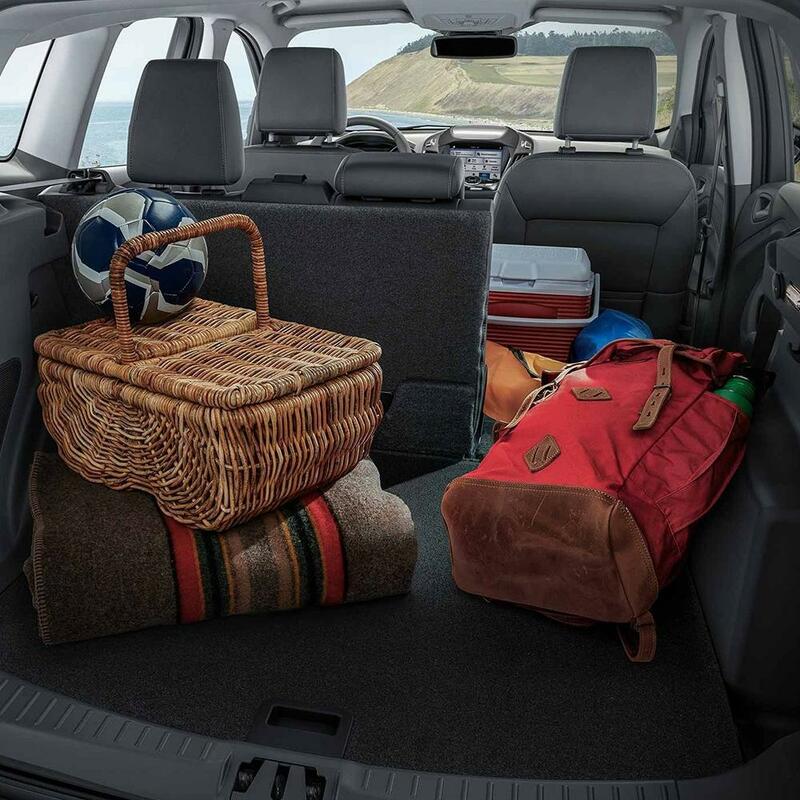 Offering 2 more inches in combined rear head and rear leg room than the 2019 GMC Terrain5, the 2019 Ford Escape4 is roomy enough for even the tallest of your passengers to travel in comfort. Bye-bye cramped "airplane-legs," hello rear passenger comfort. The 2019 Ford Escape4 is so confident in their materials and workmanship, they'll pay for the cost of perforation repairs for 2 years longer than the 2019 GMC Terrain5 - quite a consideration for drivers who live in climates where corrosion is a risk. Is it possible to get increased visibility while using less energy? With the HID Headlights that come standard on the 2019 Ford Escape2, the answer is yes. On the 2019 Honda CR-V, those brilliant, energy-efficient HID headlights are a pricey add-on. A state-of-the-art premium sound system designed with audiophiles in mind - enjoy concert-quality sound standard on the 2019 Ford Escape2. Want it on the 2019 Honda CR-V? You'll have to pay extra. 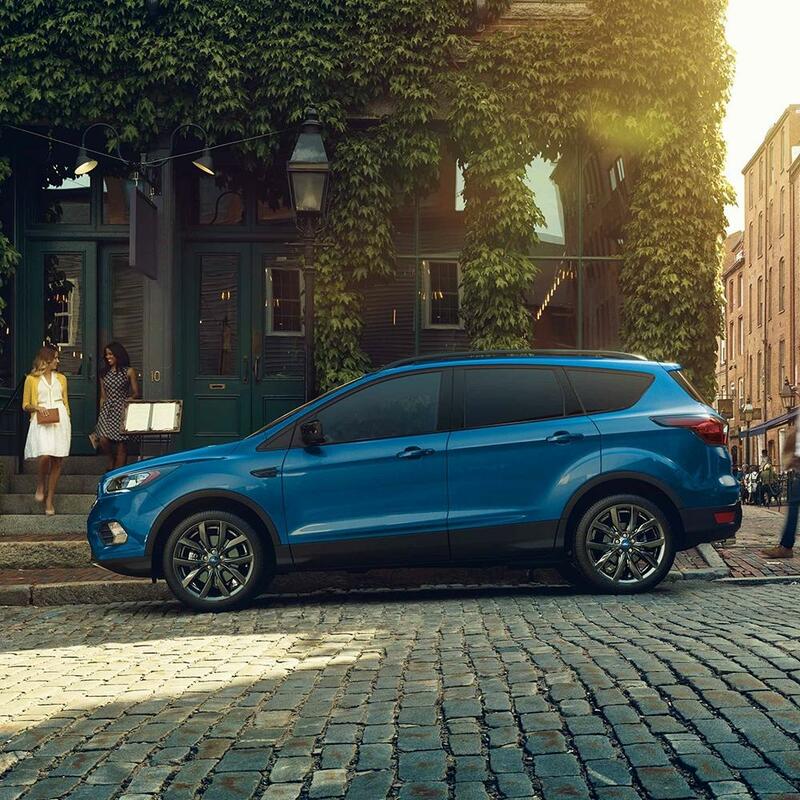 No more parallel parking jitters - the Rear Parking Aid, standard on the 2019 Ford Escape3, can help guide you into the perfect parking spot, signaling when you're getting too close to the curb, or other cars. Unless you enjoy the parallel parking jitters, in which case, choose the 2019 Honda CR-V4, and don't pay extra for the rear parking aid option. Want more power and higher top speeds? Consider the 2019 Ford Escape5, boasting 55 more horses than the 2019 Honda CR-V6. The 2019 Ford Escape's5 increased torque - 2755 lb.-ft. vs. 1804 lb.-ft. - can mean the difference between easy going and a sluggish ride. The 2019 Ford Escape's7 2,000-lb. increase in towing capacity over the 2019 Honda CR-V4 means you'll be able to tow just about anything, for the job site or for a weekend fishing trip. 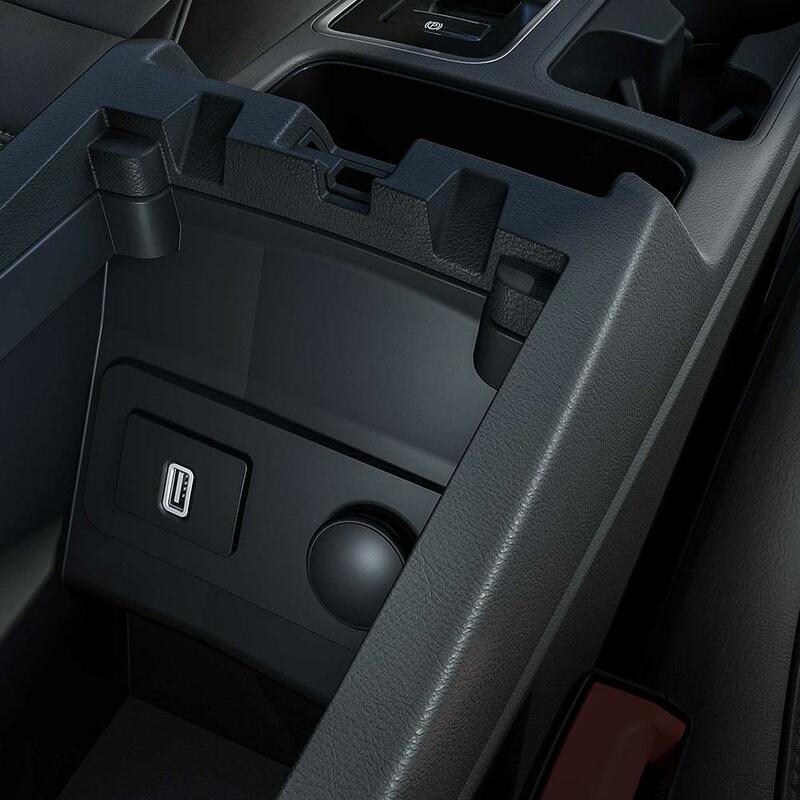 Even an increase of just an inch or two in wheel base can mean more stability, and the 2019 Ford Escape8 has 1 more of those stability-increasing inches. The 2019 Ford Escape's8 MSRP is slightly less than the 2019 Honda CR-V4 - about $245 less - but to a budget-conscious buyer, every penny counts. 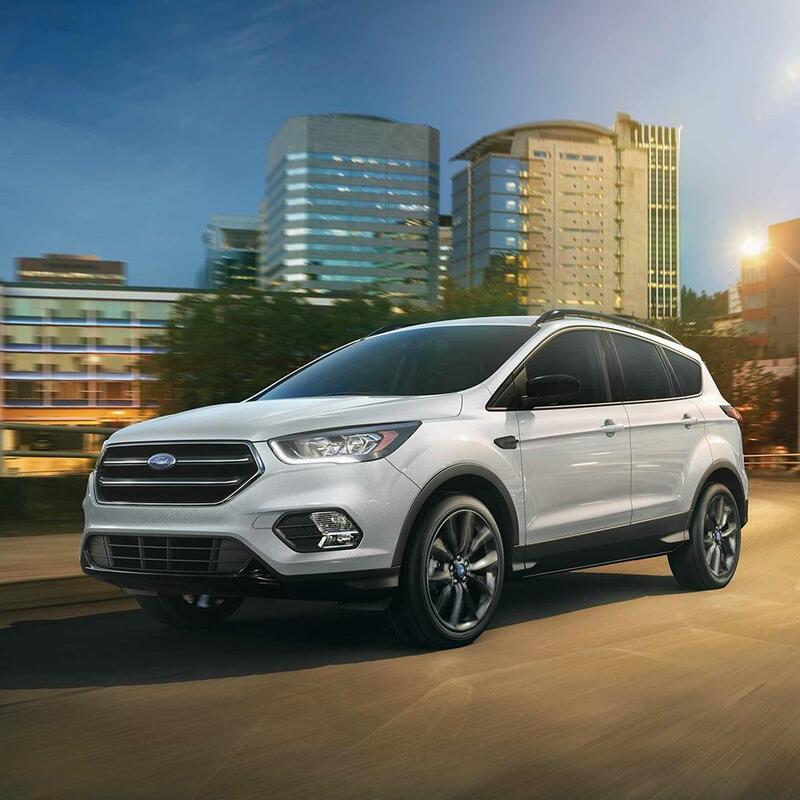 In the very unlikely event you'll need it, help is just a phone call away, 24 hours a day, 7 days a week, with the 2019 Ford Escape's8 Roadside Assistance, standard for 2 years longer than 2019 Honda CR-V4. Is it possible to get increased visibility while using less energy? With the HID Headlights that come standard on the 2019 Ford Escape2, the answer is yes. On the 2019 Nissan Rogue, those brilliant, energy-efficient HID headlights are a pricey add-on. 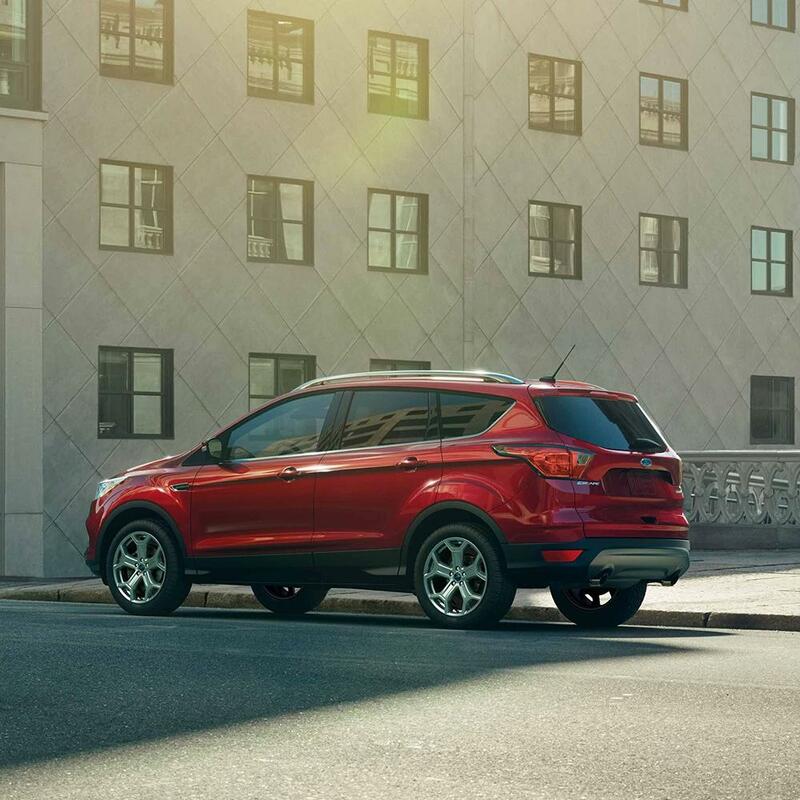 No more parallel parking jitters - the Rear Parking Aid, standard on the 2019 Ford Escape3, can help guide you into the perfect parking spot, signaling when you're getting too close to the curb, or other cars. Unless you enjoy the parallel parking jitters, in which case, choose the 2019 Nissan Rogue4, and don't pay extra for the rear parking aid option. Want more power and higher top speeds? Consider the 2019 Ford Escape5, boasting 69 more horses than the 2019 Nissan Rogue6. 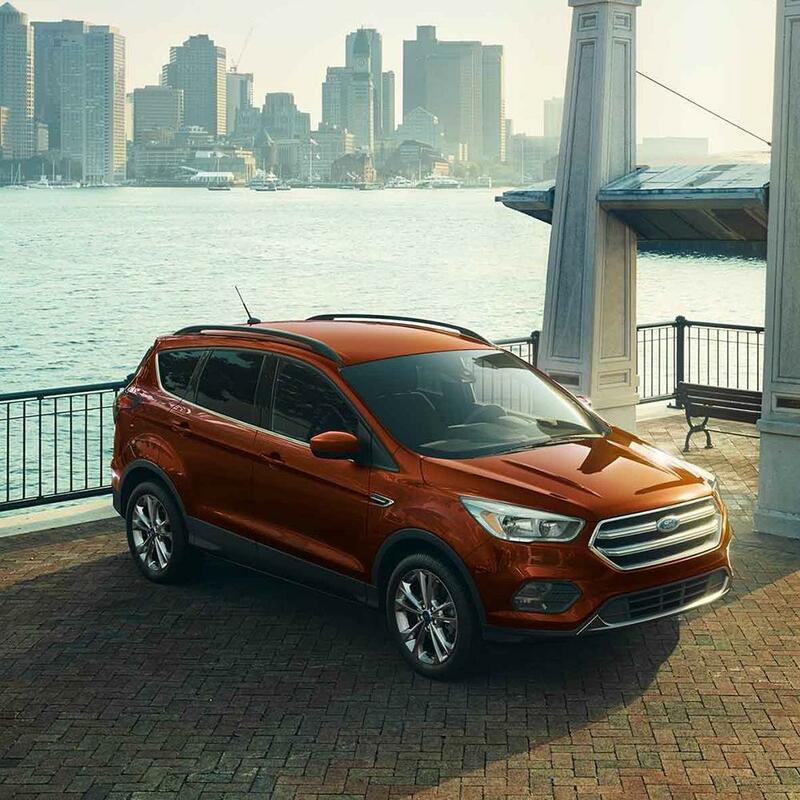 The 2019 Ford Escape's5 increased torque - 2755 lb.-ft. vs. 2076 lb.-ft. - can mean the difference between easy going and a sluggish ride. 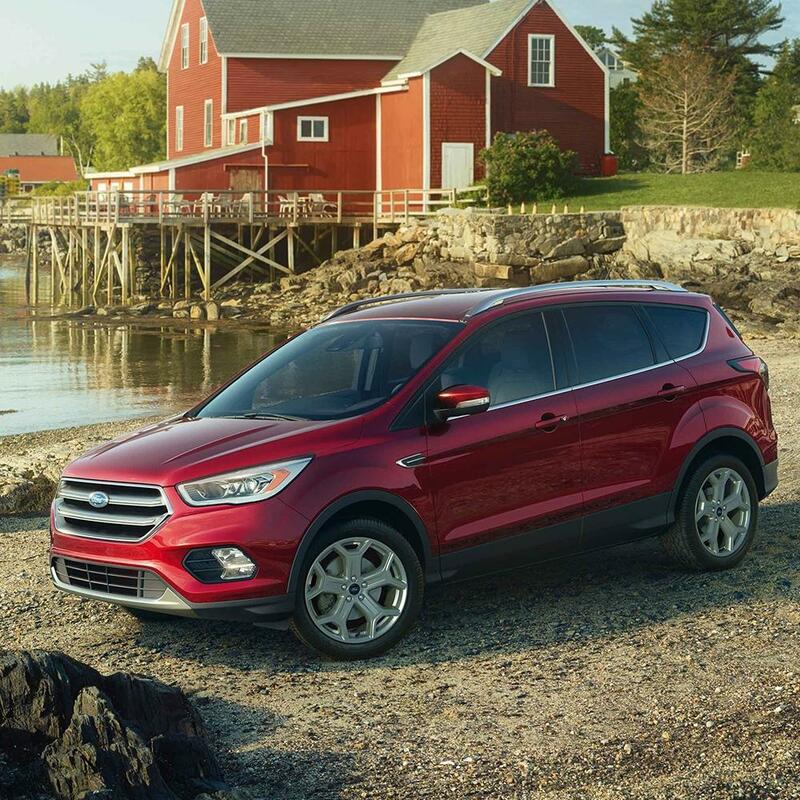 Enjoy the increased safety, fuel economy, and yes, fun, of the 2019 Ford Escape's5 optional turbocharged engine. Sadly, turbo isn't an option on the 2019 Nissan Rogue6. The 2019 Ford Escape's9 lower ground clearance, 79 vs. 88, means a lower center of gravity and more stability. 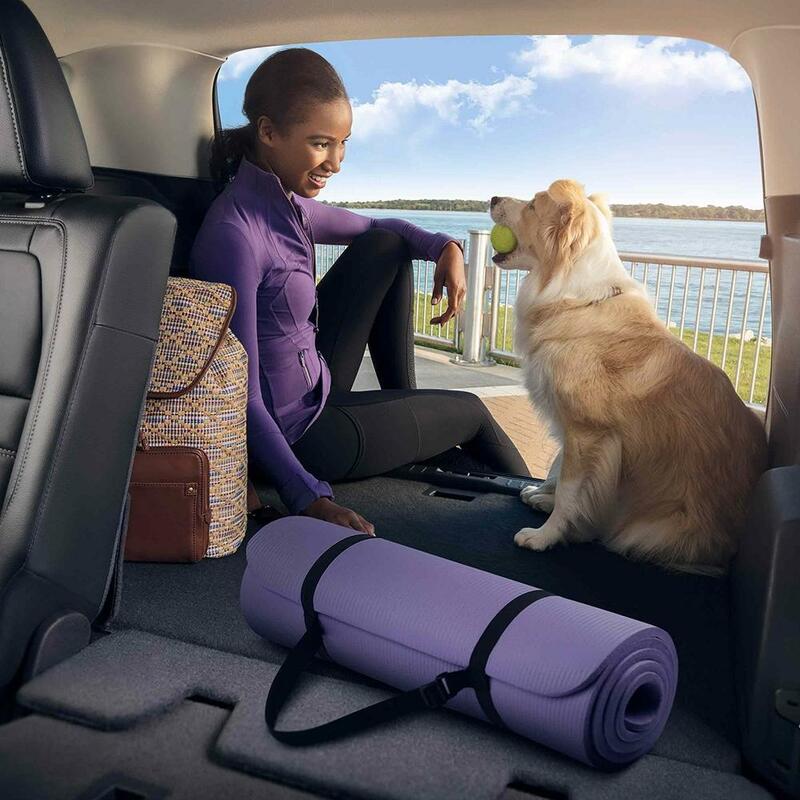 Offering 2 more inches in combined rear head and rear leg room than the 2019 Nissan Rogue10, the 2019 Ford Escape9 is roomy enough for even the tallest of your passengers to travel in comfort. Bye-bye cramped "airplane-legs," hello rear passenger comfort. The 2019 Ford Escape's5 2,398-lb. increase in towing capacity over the 2019 Nissan Rogue10 means you'll be able to tow just about anything, for the job site or for a weekend fishing trip. In the very unlikely event you'll need it, help is just a phone call away, 24 hours a day, 7 days a week, with the 2019 Ford Escape's9 Roadside Assistance, standard for 2 years longer than 2019 Nissan Rogue10. Is it possible to get increased visibility while using less energy? With the HID Headlights that come standard on the 2019 Ford Escape2, the answer is yes. On the 2019 Toyota RAV4, those brilliant, energy-efficient HID headlights are a pricey add-on. 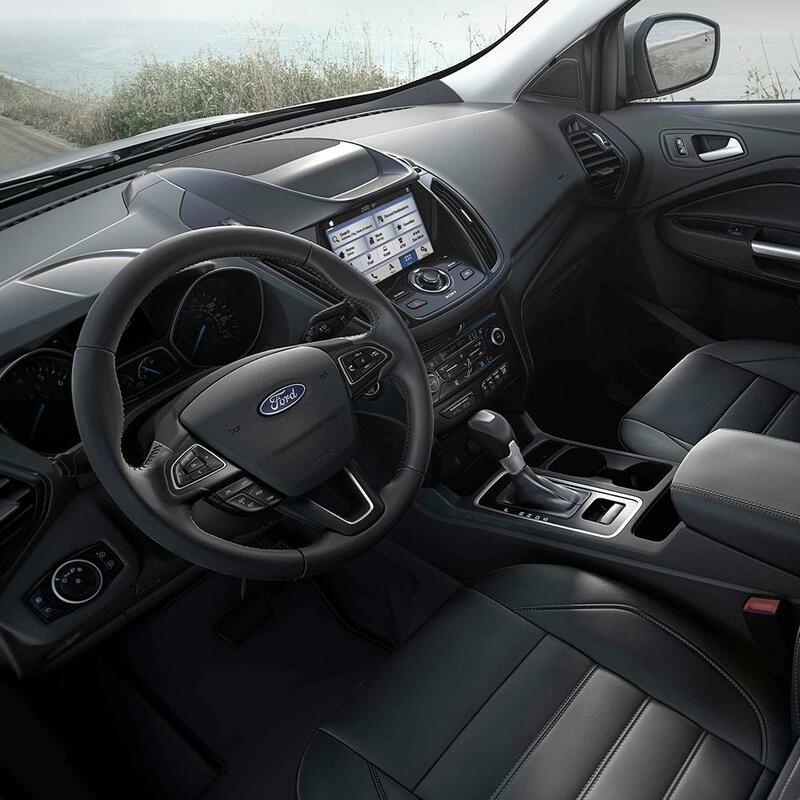 The refinement and luxury of leather seating is a standard feature in the 2019 Ford Escape3, but it's only available as an add-on option in the 2019 Toyota RAV4. 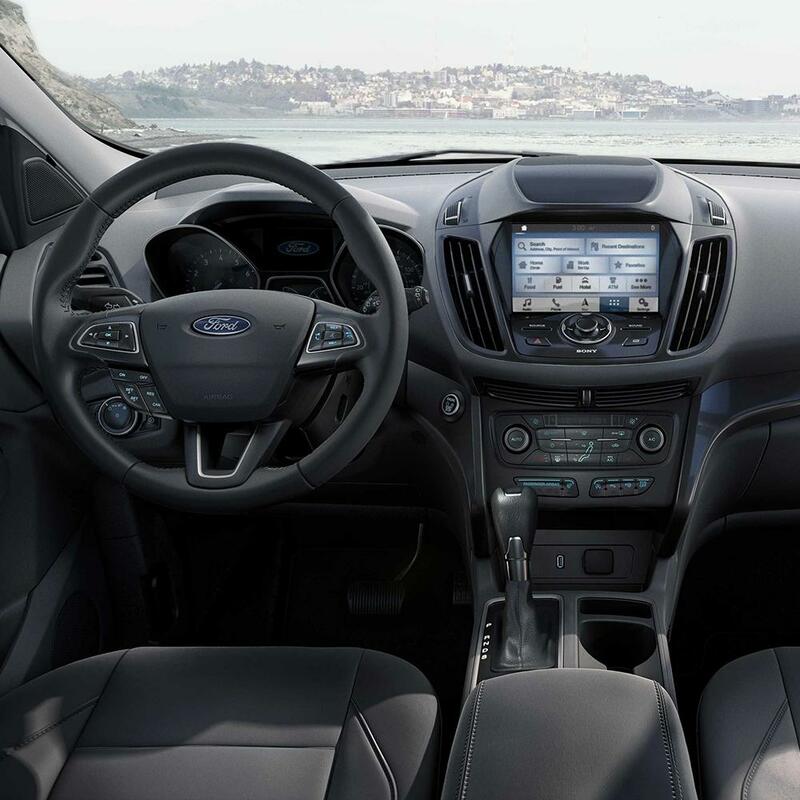 A state-of-the-art premium sound system designed with audiophiles in mind - enjoy concert-quality sound standard on the 2019 Ford Escape2. Want it on the 2019 Toyota RAV44? You'll have to pay extra. Want more power and higher top speeds? Consider the 2019 Ford Escape5, boasting 26 more horses than the 2019 Toyota RAV47. The 2019 Ford Escape's5 increased torque - 2755 lb.-ft. vs. 1846 lb.-ft. - can mean the difference between easy going and a sluggish ride. 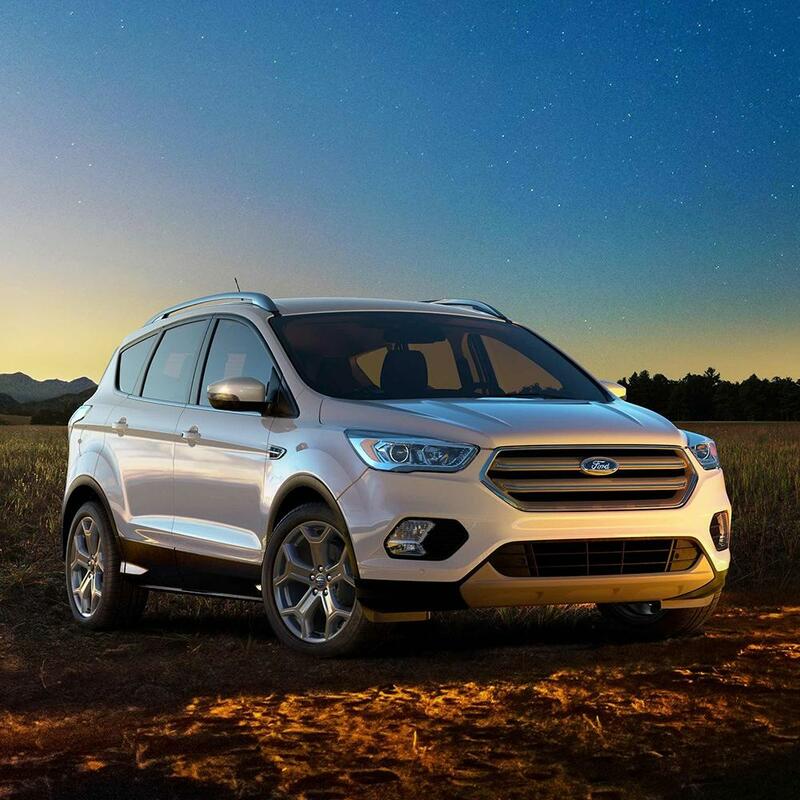 Enjoy the increased safety, fuel economy, and yes, fun, of the 2019 Ford Escape's5 optional turbocharged engine. Sadly, turbo isn't an option on the 2019 Toyota RAV4. The 2019 Ford Escape's8 lower ground clearance, 78 vs. 89, means a lower center of gravity and more stability. 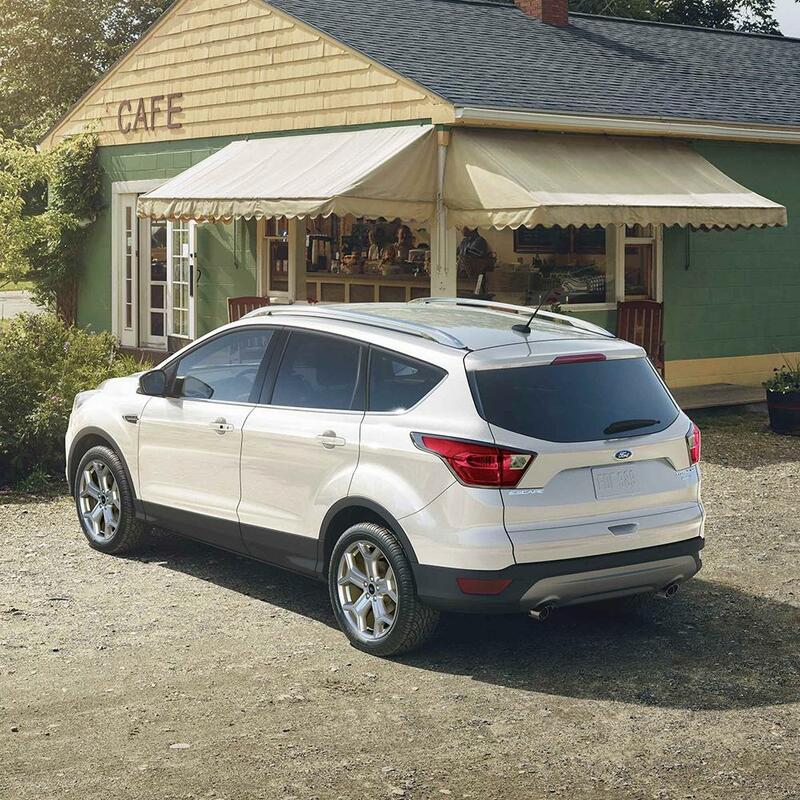 In the very unlikely event you'll need it, help is just a phone call away, 24 hours a day, 7 days a week, with the 2019 Ford Escape's8 Roadside Assistance, standard for 3 years longer than 2019 Toyota RAV46. Is it possible to get increased visibility while using less energy? With the HID Headlights that come standard on the 2019 Ford Escape2, the answer is yes. On the 2019 Hyundai Tucson, those brilliant, energy-efficient HID headlights are a pricey add-on. 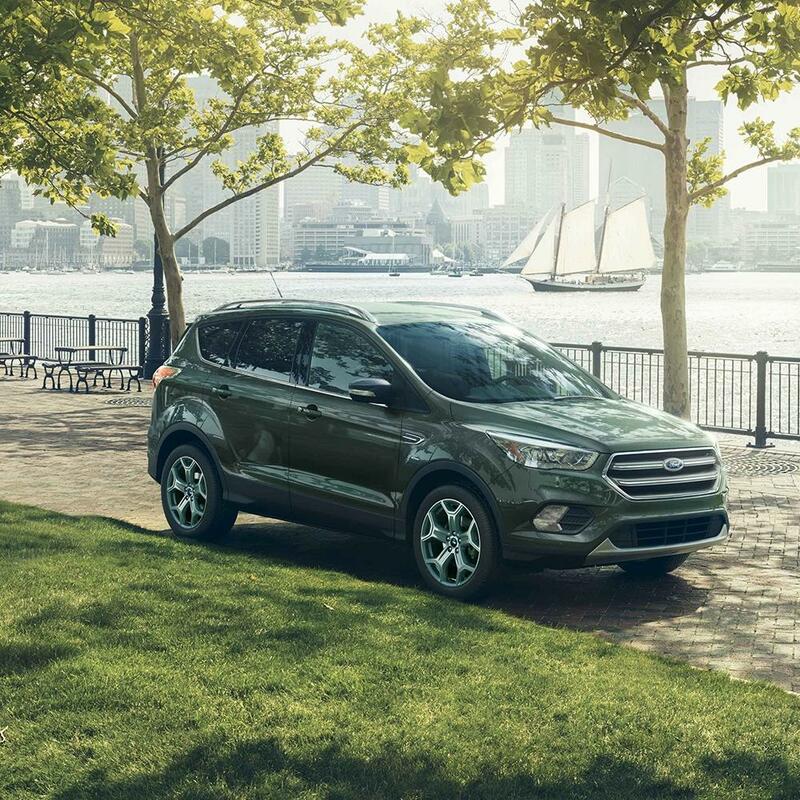 No more parallel parking jitters - the Rear Parking Aid, standard on the 2019 Ford Escape3, can help guide you into the perfect parking spot, signaling when you're getting too close to the curb, or other cars. 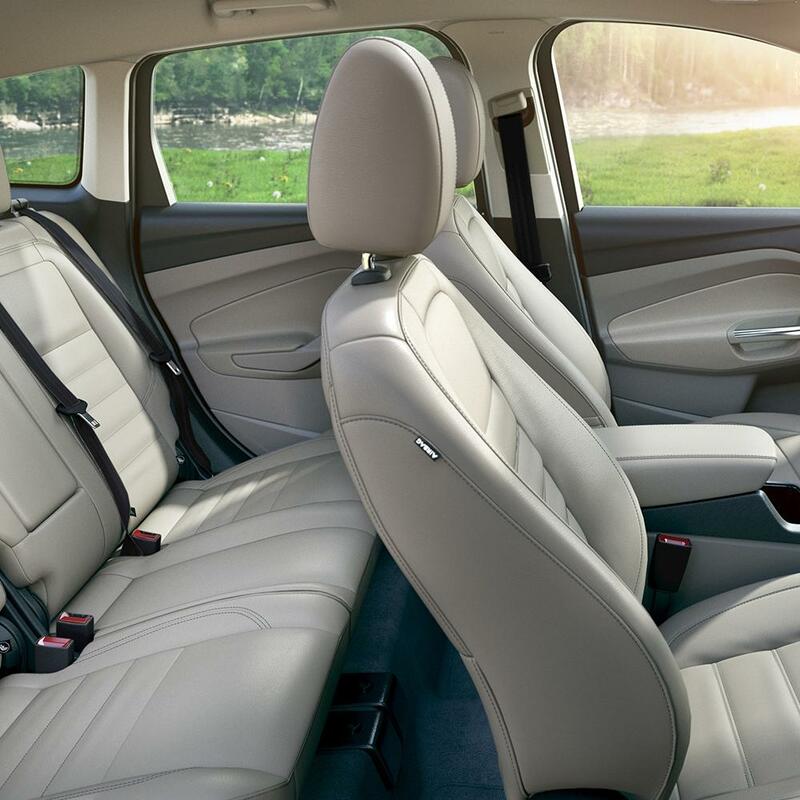 Unless you enjoy the parallel parking jitters, in which case, choose the 2019 Hyundai Tucson, and don't pay extra for the rear parking aid option. Want more power and higher top speeds? Consider the 2019 Ford Escape4, boasting 64 more horses than the 2019 Hyundai Tucson5. The 2019 Ford Escape's4 increased torque - 2754 lb.-ft. vs. 1755 lb.-ft. - can mean the difference between easy going and a sluggish ride. 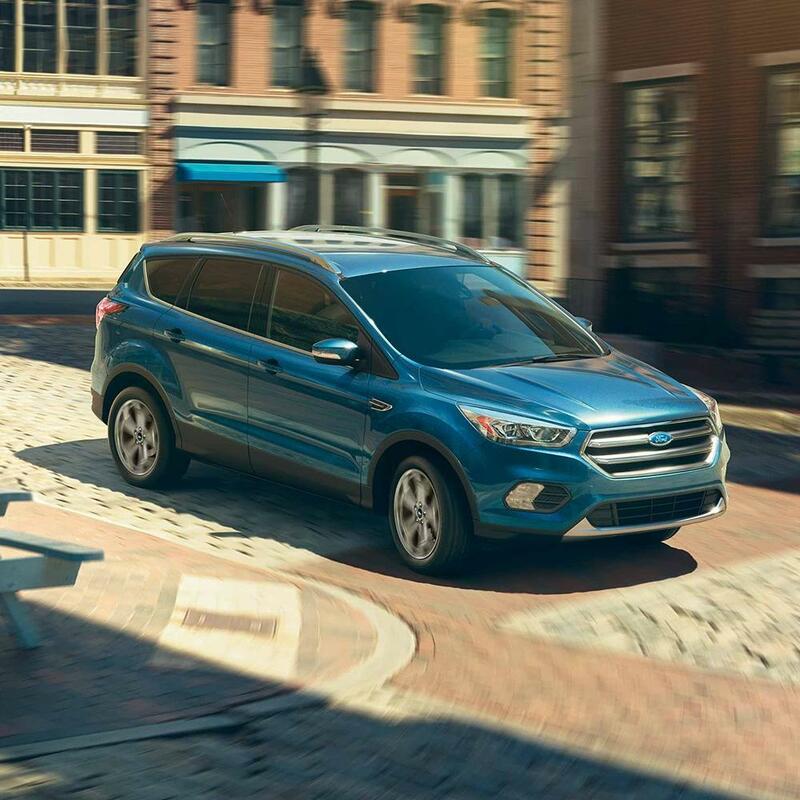 Enjoy the increased safety, fuel economy, and yes, fun, of the 2019 Ford Escape's4 optional turbocharged engine. Sadly, turbo isn't an option on the 2019 Hyundai Tucson. No more scuffing the bottom of your car in steep driveways - the 2019 Ford Escape6 has more than enough ground clearance - 1 inch more than the 2019 Hyundai Tucson7 - to make it in and out without the dreaded scrape. The 2019 Ford Escape's8 2,000-lb. increase in towing capacity over the 2019 Hyundai Tucson7 means you'll be able to tow just about anything, for the job site or for a weekend fishing trip. Is it possible to get increased visibility while using less energy? With the HID Headlights that come standard on the 2019 Ford Escape2, the answer is yes. On the 2019 Kia Sorento, those brilliant, energy-efficient HID headlights are a pricey add-on. 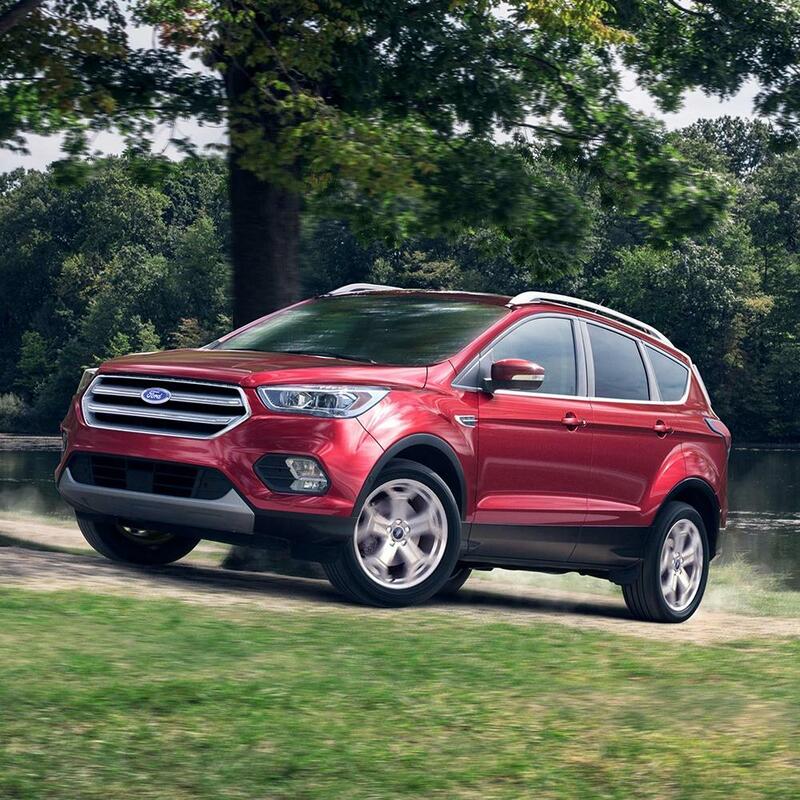 The 2019 Ford Escape's3 increased torque - 2753 lb.-ft. vs. 2524 lb.-ft. - can mean the difference between easy going and a sluggish ride. 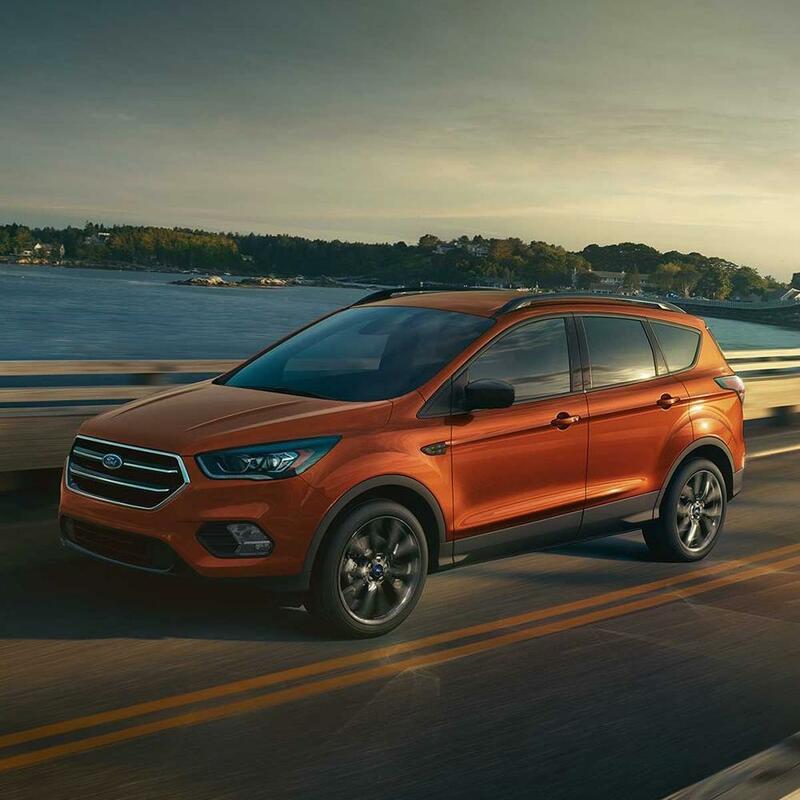 Enjoy the increased safety, fuel economy, and yes, fun, of the 2019 Ford Escape's3 optional turbocharged engine. Sadly, turbo isn't an option on the 2019 Kia Sorento. Is it possible to get increased visibility while using less energy? With the HID Headlights that come standard on the 2019 Ford Escape2, the answer is yes. On the 2019 Mazda CX-5, those brilliant, energy-efficient HID headlights are a pricey add-on. Want more power and higher top speeds? Consider the 2019 Ford Escape3, boasting 18 more horses than the 2019 Mazda CX-54. The 2019 Ford Escape's5 1,500-lb. increase in towing capacity over the 2019 Mazda CX-56 means you'll be able to tow just about anything, for the job site or for a weekend fishing trip. The 2019 Ford Escape's7 MSRP is slightly less than the 2019 Mazda CX-56 - about $245 less - but to a budget-conscious buyer, every penny counts. In the very unlikely event you'll need it, help is just a phone call away, 24 hours a day, 7 days a week, with the 2019 Ford Escape's7 Roadside Assistance, standard for 2 years longer than 2019 Mazda CX-56. Who says you can't have both luxury and eco-friendly fuel efficiency? 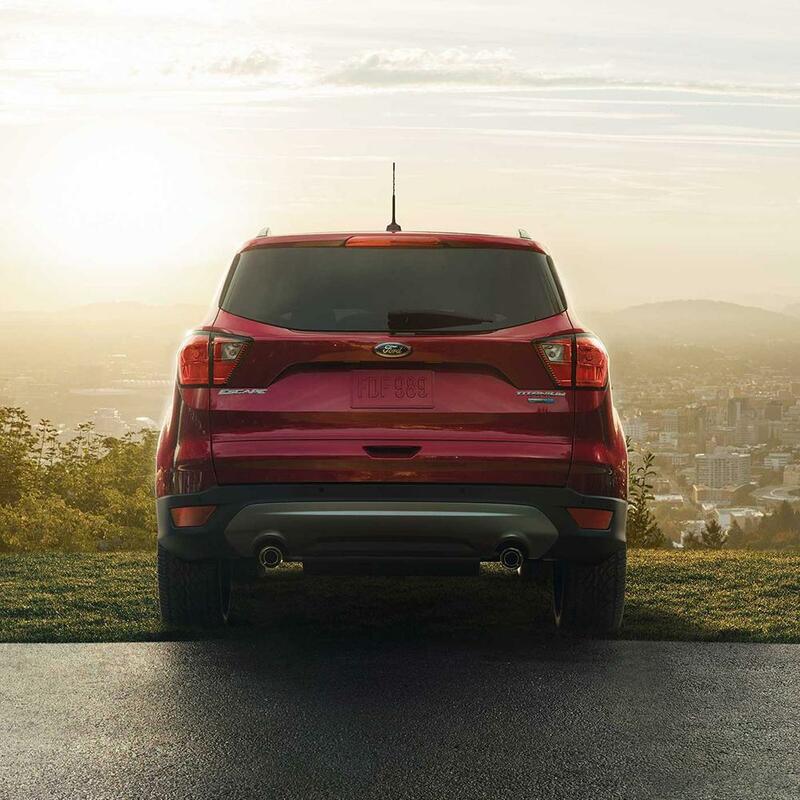 The 2019 Ford Escape2 offers more miles per gallon both in the city and on the highway than the 2019 Jeep Grand Cherokee3 - 3 more and 4 more MPGs, respectively - meaning you'll use less fuel and emit fewer greenhouse gases, while still enjoying the luxury and performance you've come to expect from Ford. Bravo! The 2019 Ford Escape's4 lower ground clearance, 74 vs. 83, means a lower center of gravity and more stability.